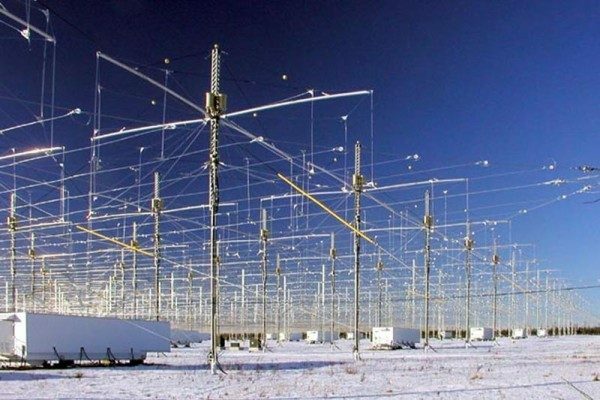 It seems that no research facility can be found to take over the HAARP Alaska facility. Could that be an indication that the weather modification system is regarded unfavorably? I find that as a possibility and extremely interesting, especially in view of all the technology that was invested and built into it. If no one wants to continue operating HAARP, will the State of Alaska be interested in it for education research purposes? But then, maybe HAARP-at-sea-ships, i.e., the Tesla Weapon Platform SBX-1, probably will be the most effective ‘on-site’ HAARP facility rather than one remotely stationary on land. However, there are numerous HAARP facilities in other countries around the globe that the Tesla Weapon Platform SBX-1 possibly could interact with. But then, we have to wonder what Assistant Secretary Walker was referring to when he stated that they got out of HAARP Alaska what they wanted and were moving on…moving on to what? May 2nd, 2014, I published “What’s With the Weather and Chemtrails?” Readers may want to review in light of the latest “bombshell” acknowledgement by Walker at a Congressional hearing. Conspiracy theories and theorists truly have been vindicated about HAARP. Knowing the dogged research we, who are proclaimed ‘tin hat theorists’, perform and circulate, this writer feels extremely confident that other information regarded as ‘conspiracy theories’ about vaccines and other ‘sacred cow’ secrets also will be vindicated at some forthcoming date—just when, who knows—since it all depends upon who has the integrity to stand up and tell the facts of what’s been going on that the U.S. media, press, TV, and controllers won’t permit be made public until it’s too late to get objection going to stop the destruction of the planet and humankind. For those still inclined to deny the facts, here are TV weather persons talking about, showing and admitting to weather geoengineering, plus dramatic statements. It’s graduation time, theorists. Throw your tin hats into the air and let them fall wherever they may land. Hopefully, they will land on some mainstream media journalists’ heads so they can wear them and become empowered to tell the facts of what’s really going on. The post Conspiracy Theorists Vindicated: HAARP Confirmed Weather-manipulation Tool appeared first on We Are Change.